An independent platform for contemporary art in Hungary which functions as a series of exhibitions and art events, but also creates a general basis for discussion about the role of contemporary art in the current political situation. This is how you could summarize the idea of the OFF- Biennále in Budapest. Marta curator Friederike Fast found this idea so interesting that she interviewed Hajnalka Somogyi, initiator and director of the project, on the subject. 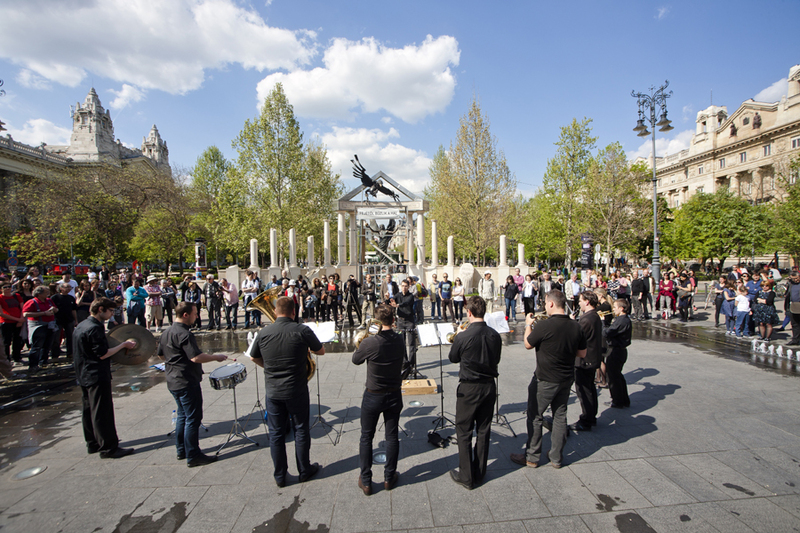 The first OFF-Biennále was held in Budapest in 2015. 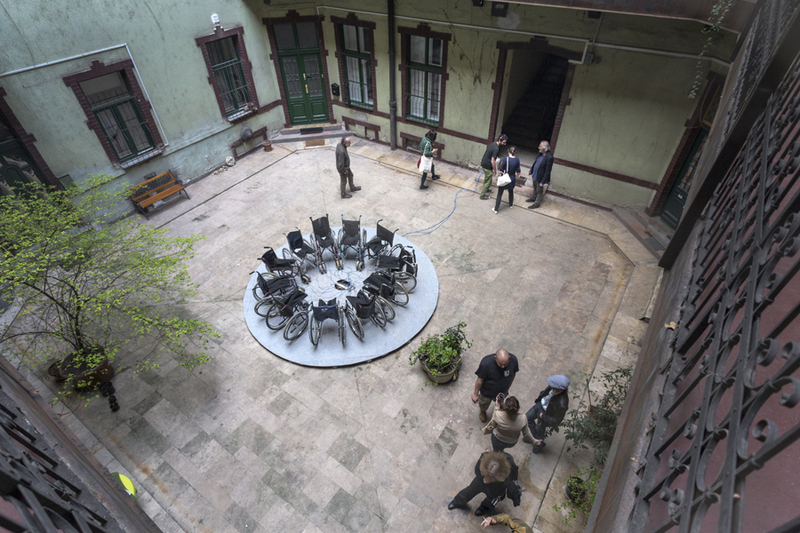 When and how exactly was the idea of staging a biennale in Hungary born? Aren’t there already far too many biennales worldwide? And what distinguishes this project from, say, the Venice Biennale or the Berlin Biennale? 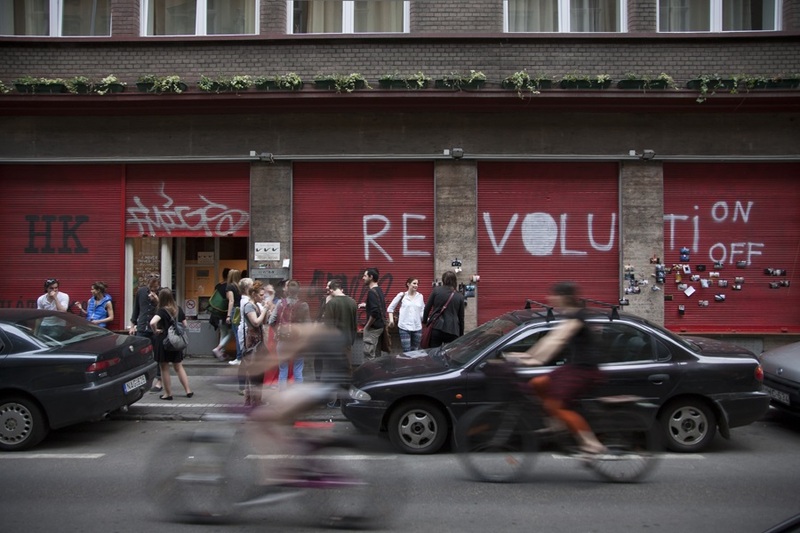 The initial intention was not to stage a biennale – back in the fall of 2013, we were seeking ways to reorganize a very fragmented, state-dependent, and frustrated art scene in Hungary. Viktor Orbán’s right-wing government took power in 2010 and they rearranged the already quite weak and disfunctional institutional system with an astonishing agressivity so that it serves their political agenda. Artists and curators protested but to no avail; it was disheartening as until then, the state had been by far the most important supporter of the arts. Around 2013 it became clear that anything that wants to go beyond this government’s agenda, let alone that wants to criticize and correct it, must begin outside the state-run infrastructure. The biennale form seemed suitable as it is half-event, half-institution: it allows you to make a strong statement, to gain visibility in front of a broader audience, and so to gather a social base to your cause; at the same time, it makes long-term, strategic thinking, development, and self-institutionalizing possible. The first OFF differed from most other biennales as it consisted of projects (exhibitions, events, performances, games, walks etc.) conceived an realized by various stakeholders of the Hungarian art scene who were responsible for their projects in a financial and operational sense, too. The curatorial team selected these projects and invited participants from abroad, but did not curate a super-show, as it is the case with most biennales. This is a grassroots, collective effort without any institutional or corporate backing, and it wants to comment and improve its own circumstances, to produce art that is socially and politically relevant. Exhibitions and events featuring artists from Hungary and abroad were held at over 100 locations in and outside the city. The OFF took visitors to very remote places which non-locals would never have discovered otherwise. 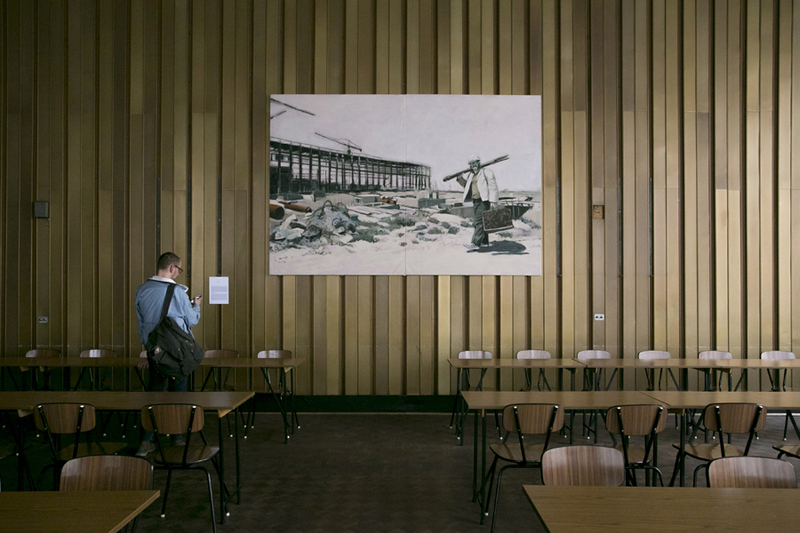 For instance, some works were installed in empty homes. This variety of locations gave the event a certain charm, but also meant that it was almost impossible for visitors to see all the works displayed. What sort of locations did you use – and how did you find them? Does the OFF in the title indicate that one aim was to take visitors somewhat off the beaten track? Yes, OFF certainly refers to that. The large number and variety of locations was one of the features that were born out of necessity but turned out to be real strengths of the project. As we did not work with state-run art spaces, we had to be very inventive – and while e.g. using one’s own apartment was in cases the only solution, curators worked with this limitation by engaging with themes pertinent to the given situation. One of the most cited projects was a show curated by Kati Simon, who quit her job as head curator at Ludwig Museum for political reasons and moved to Berlin three years ago, leaving behind a fully equipped apartment. Here, she curated a show about emigration, about losing your home and trying to establish a new one. Staged in her personal but uninhabited space, the show became incredibly intimate and touching. In each case it were the participants who had to find and secure a space for their projects; this is a reality we have to work with more and more. Of course the biennale staff helped a lot and getting over 100 venues with almost no money took an insane amount of negotiations. At the same time, sharing info and connections worked very well among people in these cases. There were projects in apartments, squares, courtyards, shops, cafés, some commercial galleries, theatres, studios, a night club, a garage, the headquarters of stampcollectors, at the river Danube, even in an old power plant. Another feature of the OFF is that it was organized with no state funding whatsoever. What does that mean in Hungary and what does it mean for you as a curator? This is a complex issue. We do believe that art is entitled to receive public funding. However, there are situations when you lose more by applying to state funds than what you gain by it and we believe this is true to our case. Public funding in the arts (and in other areas as well) has become politically motivated in a very cynical way, lacking or playing down professional criteria. In the years leading up to the biennale, demands of professional autonomy of funding bodies had remained unheard, and it had become a moral question whether one applies to these or not. Immediately, one started to feel the lack of alternatives: in the past 26 years, international and private/corporate sponsorship has not become a strong source besides the state system, and the art scene had not recognized the importance of establishing such alternative until that point. The idea of a grassroots biennale, realized collectively, without state funding sounded impossible; at the same time, I think this was what made the idea fly. It was an opportunity to demonstrate that we were not that dependent on the state as most of us felt by that time. We managed to convince international funding bodies and local art collectors, and learned a lot on the way. I think this is the first step of reclaiming public funds. The majority of the core members of the Biennále team comprising Nikolett Erőss, Anna Juhász, Tijana Stepanovic, Borbála Szalai, Katalin Székely, János Szoboszlai and you are women. Did you work together before the political changes? Who else was involved in staging the Biennále and how did you select the artists? This is a small scene. I think most of us had worked with one another before the biennale in various constellations. In the years 2008-2013, five of us worked in Ludwig Museum at some point, and the professional freedom, international ambitions, and the very strong collective that one could experience there under Barnabás Bencsik’s directorship certainly formed a base that we, as the OFF curatorial board, could later build on. This board was the core that started the project; on the one hand, we invited more than 100 people in the scene to apply with a project they wished to present in the biennale and later, invited curators and artists from abroad, too; on the other, we started to build a management team, organized in working groups, around 90% of them working pro bono (including the board). By the time of the opening, this team counted more than 100 people, while the number of participants (curators, artists, organizers, hosts of projects) totalled around 600-700. A small foundation led by Bencsik took on the financial administration. Thus, it was not the curatorial board who selected the artists, we selected the projects that were presented in the frame of the first OFF and curated one small international project ourselves, with the title Check Your Head!, with artists such as Anca Benera and Arnold Estefan, Petra Feriancova, Eva Kotatkova, Little Warsaw, Dan Perjovschi, etc. The Biennále attracted a total of over 35,000 visitors between 24 April and 31 May 2015. Why did you decide to keep it so short? As I said before, it was a huge challenge to find venues and locations, there were all kinds of deals with owners and people had to guard their own work. Most of our programs were very short-term, performances, screenings, but even exhibitions only lasted 2-3 weeks. We filled 5 weeks with an incredible amount of programs; this had a sweeping intensity, like a critical mass-type demonstration. What’s your assessment of the Biennále? How did visitors and politicians respond? What changed as a result of the OFF? And what are you planning for the next event in 2017? 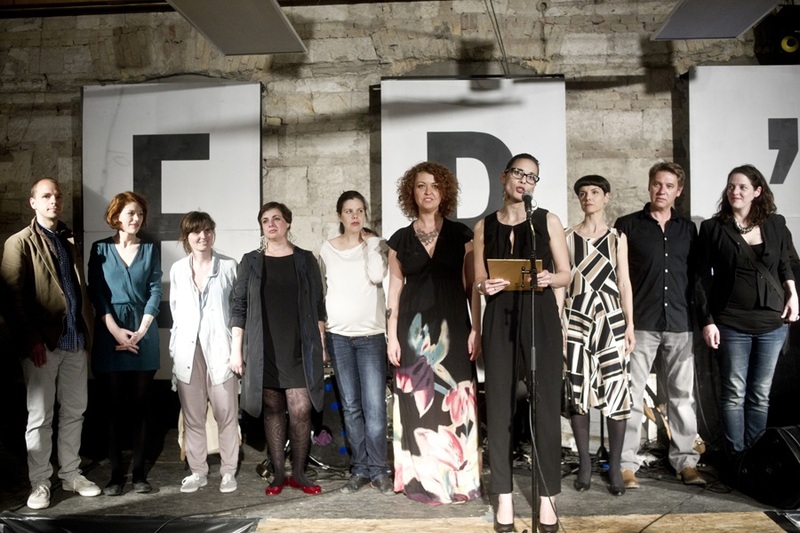 The stake of the first OFF was to unite and channel energies of critical, progressive art projects under a common umbrella – this made sharing resources, fundraising and communication much easier, launched a wide-ranging collaboration within the scene and gained us visibility at home and new connections internationally. The media and the audience sent a very positive response – people like stories of self-empowerment in this general social climate of frustration. International visitors emphasized the overall high quality of the projects. After the first OFF, we founded an association that is to manage the biennale in the future and renewed the curatorial board – now it is eight women*. In a long run, OFF must be a testing ground for a meta-institutional system of working, a strong network of cooperation between people, associations, small non-profits, cultural media, galleries etc. that makes critical, socially relevant contemporary art production possible. We are planning a smaller, focused OFF2 that puts more emphasis on to the content and to local and international partnerships. The whole project is still up in the air and it will take time and energy to get solid ground under our feet. At the same time, there is this strong feeling that we are preparing something useful and meaningful in a professional but also in a political sense and this is quite a lot one can tell in the artworld – enough fuel for another round at least. * The OFF 2 curatorial board is Nikolett Erőss, Róna Kopeczky, Eszter Kozma, Lívia Páldi, Hajnalka Somogyi, Tijana Stepanovic, Borbála Szalai, Katalin Székely.